Should you, and perhaps your family, decide to become a member, you will get all of the rights and privileges that come with membership. These are bragging rights! You'll also get member discounts to KIS events that are noted in the "Events" section of our website. You'll also get member discounts to KIS events (e.g. 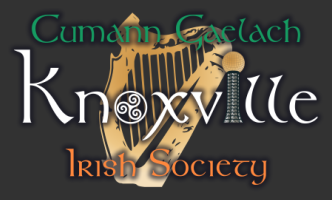 the Second Saturday social gathering and the Irish Gaelic language classes) and other non-KIS affiliated events (e.g. St. Patrick’s Day Knoxville celebrations and Irish Fest on the Hill). And, best of all, you'll be supporting the good work of the Society. Our culturally-enriching events and efforts wouldn't be possible without the wonderful support of our members: people like you! Not only will you get those warm and fuzzy feelings from joining, but you'll also receive the profuse gratitude of the Irish community and its friends. This is the start of a beautiful relationship! Acceptance into the Society is competitive: only about 100% of applicants are admitted. For more information about what we do, click on our events tab above, like our Facebook page, or join our Facebook community group . Please fill out the form below to become an official member. If you wish to make a donation, please return it to our treasurer. Go raibh míle maith agaibh, y'all! Thank ye very much!